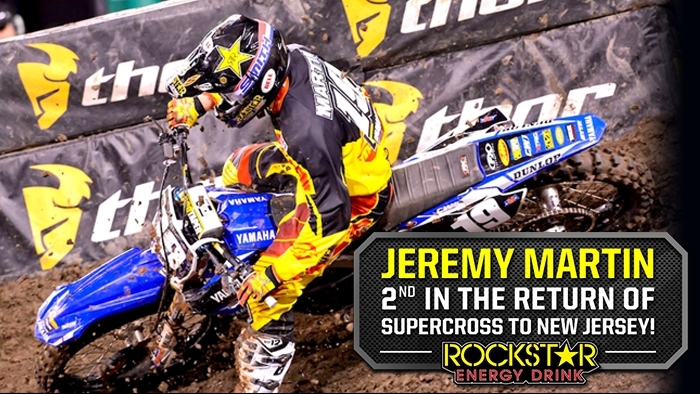 Jeremy Martin: "Pretty solid night of racing at Metlife Stadium on Saturday night. Was able to walk away with a 2nd place finish. It has been a rough SX season so it felt good to get on the podium but I really wanted to win. My goal is finish on top of the box next week in Vegas."